Pigeons may get a bad rap because of their dirtiness and their general propensity for being pests, but we’d still gladly take their ability to fly high above ground level. 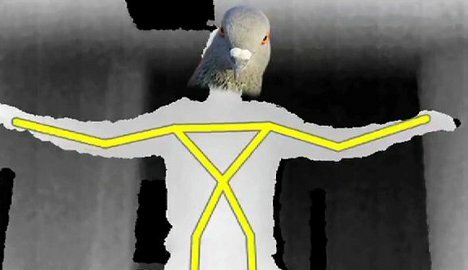 A new simulator developed by researchers at University College London’s Bartlett Centre for Advanced Spatial Analysis (CASA) lets humans borrow the ability to fly just like a pigeon, if only for a brief time. 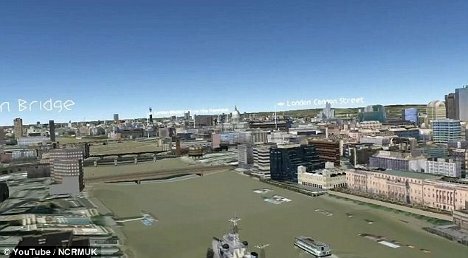 Using Google Earth and a Microsoft Kinect sensor, the simulator tracks body movements and translates them into bird navigational movements, allowing users to get a literal bird’s eye view of London. 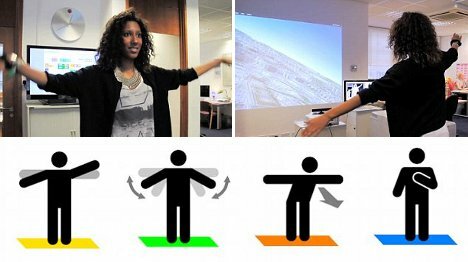 Flapping the arms like wings takes the user higher while dropping the arms causes a loss of altitude. Leaning to one side or the other changes the direction of the flight. Although the simulator looks like great fun to use, the CASA team say that there is a practical purpose for it: it is part of a public outreach program to raise awareness of the college’s urban modeling work. That’s all well and good, but we aren’t nearly as interested in learning about their program as we are in taking the controls and cruising over London.